The Delhi Durbar (meaning "Court of Delhi") was an Indian imperial style mass assembly organised by the British at Coronation Park, Delhi, India, to mark the succession of an Emperor or Empress of India. Also known as the Imperial Durbar, it was held three times, in 1877, 1903, and 1911, at the height of the British Empire. The 1911 Durbar was the only one that a sovereign, George V, attended. The term was derived from the common Mughal term durbar. 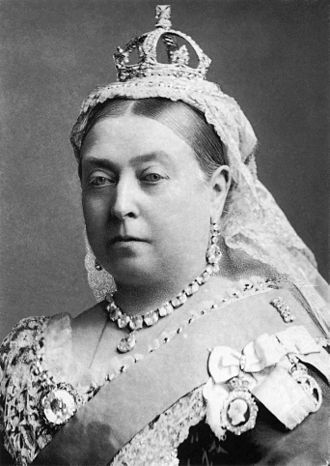 Called the "Proclamation Durbar", the Durbar of 1877, for which the organisation was undertaken by Thomas Henry Thornton, was held beginning on 1 January 1877 to proclaim Queen Victoria as Empress of India by the British. 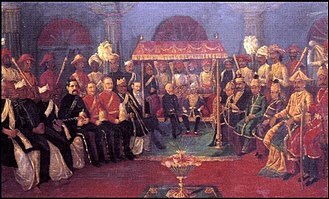 The 1877 Durbar was largely an official event and not a popular occasion with mass participation like later durbars in 1903 and 1911. 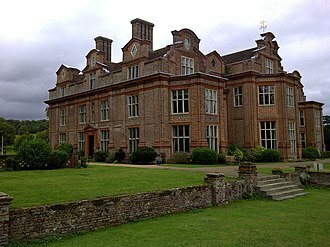 It was attended by the 1st Earl of Lytton—Viceroy of India, maharajas, nawabs and intellectuals. 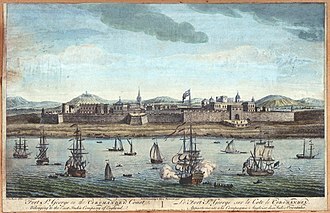 This was the culmination of transfer of control of British India from the East India Company to the Crown. The Empress of India Medal to commemorate the Proclamation of the Queen as Empress of India was struck and distributed to the honoured guests, and the elderly Ramanath Tagore was raised to the status of an honorary Raja by Lord Lytton, viceroy of India. Her Majesty to grant to India the same political and social status as is enjoyed by her British subjects. With this demand, it can be said that the campaign for a free India was formally launched, which was the beginning of a great transformation for India. The durbar would later be seen as controversial because it directed funds away from the Great Famine of 1876–78. 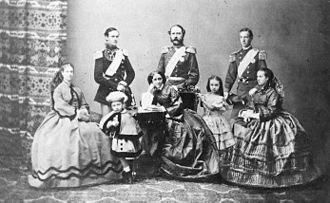 The durbar was held to celebrate the succession of Edward VII and Alexandra of Denmark as Emperor and Empress of India. 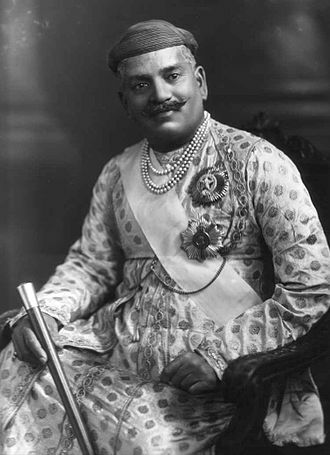 The two full weeks of festivities were devised in meticulous detail by Lord Curzon, Viceroy of India. It was a dazzling display of pomp, power and split second timing. Neither the earlier Delhi Durbar of 1877, nor the later Durbar held there in 1911, could match the pageantry of Lord Curzon’s 1903 festivities. In a few short months at the end of 1902, a deserted plain was transformed into an elaborate tented city, complete with temporary light railway to bring crowds of spectators out from Delhi, a post office with its own stamp, telephone and telegraphic facilities, a variety of stores, a Police force with specially designed uniform, hospital, magistrate’s court and complex sanitation, drainage and electric light installations. Souvenir guide books were sold and maps of the camping ground distributed. Marketing opportunities were craftily exploited. A special Delhi Durbar Medal was struck, firework displays, exhibitions and glamorous dances held. 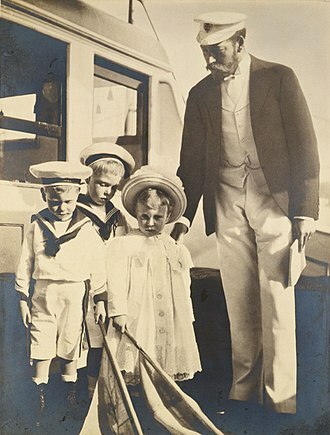 Edward VII, to Curzon’s disappointment, did not attend but sent his brother, the Duke of Connaught who arrived with a mass of dignitaries by train from Bombay just as Curzon and his government came in the other direction from Calcutta. The assembly awaiting them displayed possibly the greatest collection of jewels to be seen in one place. 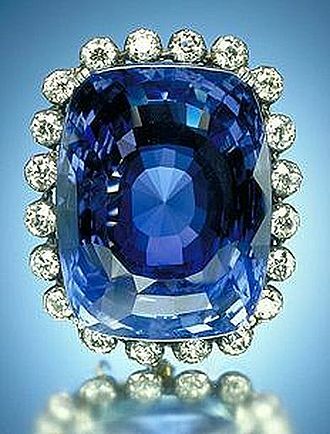 Each of the Indian princes was adorned with the most spectacular of his gems from the collections of centuries. Maharajahs came with great retinues from all over India, many of them meeting for the first time while the massed ranks of the Indian armies, under their Commander-in-Chief Lord Kitchener, paraded, played their bands and restrained the crowds of common people. 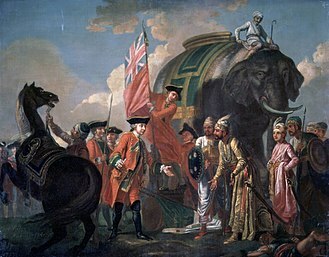 On the first day, the Curzons entered the area of festivities, together with the maharajahs, riding on elephants, some with huge gold candelabras stuck on their tusks. The durbar ceremony itself fell on New Year's Day and was followed by days of polo and other sports, dinners, balls, military reviews, bands, and exhibitions. 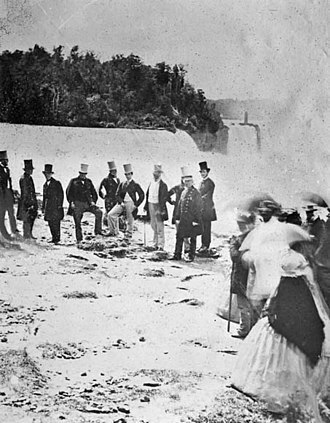 The world’s press dispatched their best journalists, artists and photographers to cover proceedings. The popularity of movie footage of the event, shown in makeshift cinemas throughout India, is often credited with having launched the country’s early film industry. The India Post issued a set of two commemorative souvenir sheets with special cancellation struck on 1 January 1903 – 12 noon, a much sought after item for the stamp collectors today. The event culminated in a grand coronation ball attended only by the highest ranking guests, all reigned over by Lord Curzon and more so by the stunning Lady Curzon in her glittering jewels and regal peacock gown. 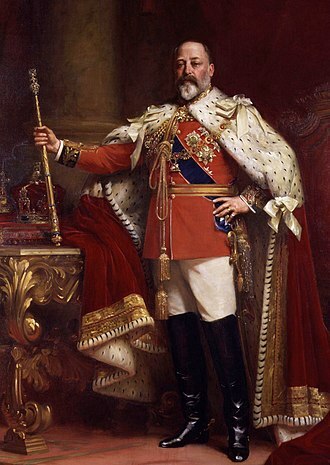 On 22 March 1911, a royal proclamation announced that the Durbar would be held in December to commemorate the coronation in Britain a few months earlier of George V and Mary of Teck and allow their proclamation as Emperor and Empress of India. Practically every ruling prince and nobleman in India, plus thousands of landed gentry and other persons of note, attended to pay obeisance to their sovereigns. The official ceremonies lasted from 7 December to 16 December, with the Durbar itself occurring on Tuesday, 12 December. 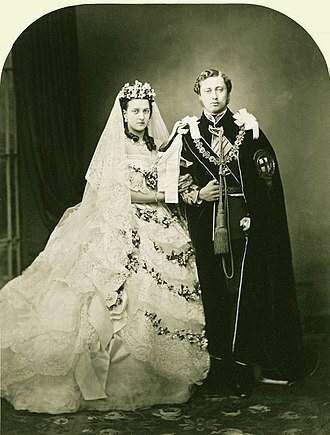 The royal couple arrived at Coronation Park in their Coronation robes, the King-Emperor wearing the Imperial Crown of India with eight arches, containing 6170 exquisitely cut diamonds, and covered with sapphires, emeralds and rubies, with a velvet and miniver cap all weighing 34.05 ounces (965 g). They received homage from the native princes – including one woman, the Begum of Bhopal – at the shamiana (ceremonial tent); controversy ensued when the Gaekwar of Baroda, Maharajah (Emperor) Sayajirao III, approached the royal couple without his jewellery on, and after a simple bow turned his back to them when leaving. 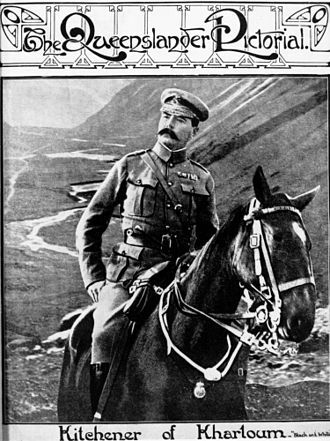 His action was interpreted at the time as a sign of dissent to British rule. 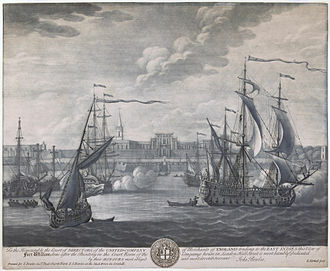 Afterwards, the royal couple ascended to the domed royal pavilion, where the King-Emperor announced the move of India's capital from Calcutta to Delhi. The annulment of the Partition of Bengal was also announced during the ceremony. The day after, on 13 December, the royal couple made a darshan (an appearance) at the jharoka (balcony window) of Red Fort, to receive half a million or more of the common people who had come to greet them, a custom which was started by Shahjahan. Then on 14 December the King-Emperor presided over a military parade of 50,000 troops. A Delhi Herald of Arms Extraordinary and an Assistant Herald were appointed for the 1911 Durbar (Brigadier-General William Peyton and Captain the Hon. Malik Mohammed Umar Hayat Khan), but their duties were more ceremonial than heraldic. Twenty-six thousand eight hundred (26,800) Delhi Durbar Medals in silver were awarded to the men and officers of the British and Indian Armies who participated in the 1911 event. A further two hundred were struck in gold, a hundred of which were awarded to Indian princely rulers and the highest ranking government officers. A feature film of the event titled With Our King and Queen Through India (1912) – also known as The Durbar in Delhi – was filmed in the early color process Kinemacolor and released on 2 February 1912. 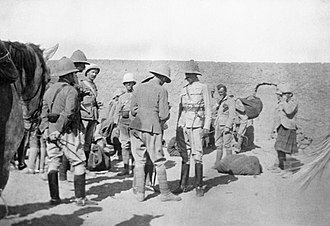 Generally the Durbar achieved its purpose of cementing support for British rule among the native princes, as was demonstrated by the support given during the First World War. Today Coronation Park is a jealously guarded open space, whose emptiness can come as somewhat of a shock after the dense traffic and crowded shanty towns of northern Delhi’s urban sprawl. It is mostly overgrown, neglected and locked. The Park is sometimes used for big religious festivals and municipal conventions. The thrones used by King George V and Queen Mary are on display at Marble Hall Gallery and Museum at Rashtrapati Bhavan. While Edward VIII abdicated in December 1936 before his coronation, it was initially envisaged that his successor George VI would ultimately visit India and have his own Durbar. The Indian National Congress passed a motion weeks after his accession calling for a boycott of any such visit, and in February 1937 Communist MP Willie Gallacher decried expenditure on such festivities in a country of such poverty. 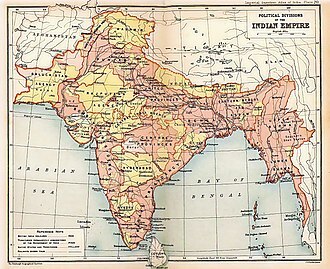 The King's Speech of October 1937 included "I am looking forward with interest and pleasure to the time when it will be possible for Me to visit My Indian Empire"; however, the onset of World War II and the movement towards Indian independence meant this visit never happened. Elephant Carriage of the Maharaja of Rewa, Delhi Durbar of 1903. Interior of the Victoria Memorial, Kolkata (the inscription is to the right of the statue). Malik Umar Hayat Khan serving as Assistant Delhi Herald Extraordinary in 1911. ^ Cotton, H. E. A., Calcutta Old and New, 1909/1980, p. 596, General Printers and Publishers Pvt. Ltd.
^ Douglas Northrop, An Imperial World: Empires and Colonies since 1750 (Boston: Pearson, 2013), pp. 2–3. 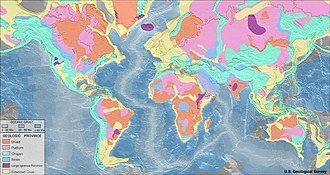 ^ Nayar, Pramod K. (2012). 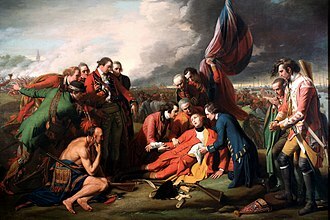 Colonial Voices: The Discourses of Empire. John Wiley & Sons. p. 94. ISBN 978-1-118-27897-0. ^ Holmes Richard, "Sahib: The British Soldier in India 1750–1914". HARPERCOLLINS. 571 pages. ^ Coronation Durbar, Delhi 1911: Official Directory with Maps. Calcutta: Superintendent Government Printing, India, 1911. ^ "Indian maharajah's daring act of anti-colonial dissent". BBC News. 2011-12-10. ^ "Delhi Durbar of 1911 - General Knowledge Today". www.gktoday.in. Retrieved 2018-02-18. ^ Cox, Noel, A New Zealand Heraldic Authority? 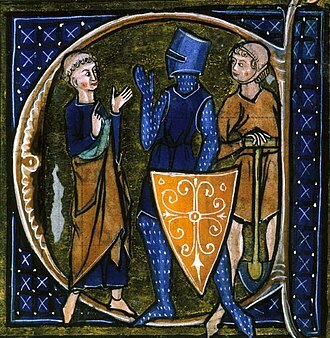 in John Campbell-Kease (ed), Tribute to an Armorist: Essays for John Brooke-Little to mark the Golden Jubilee of The Coat of Arms, London, The Heraldry Society, 2000, p. 93 & p. 101: "Two heralds, with ceremonial rather than heraldic responsibilities, were appointed for the Delhi Durbar in 1911... Delhi Herald (Brigadier-General William Eliot Peyton) and Assistant Delhi Herald (Captain the Honourable Malik Mohammed Umar Haiyat Khan)." ^ Howard N Cole. Coronation and Royal Commemorative Medals. pp. 37. Published J. B. Hayward & Son, London. 1977. ^ Presidentofindia.nic.in. "Museum and Galleries in Rashtrapati Bhavan". Archived from the original on 5 May 2012. 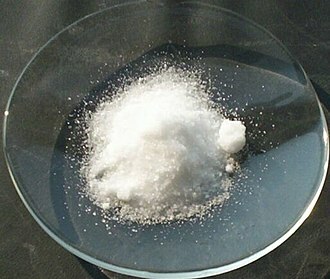 Retrieved 15 May 2012. ^ http://hansard.millbanksystems.com/commons/1937/feb/08/the-coronation-durbar#S5CV0320P0-00281 |chapter-url= missing title (help). Parliamentary Debates (Hansard). House of Commons. 1937-02-08. col. 8–9. ^ http://hansard.millbanksystems.com/lords/1937/oct/26/the-kings-speech |chapter-url= missing title (help). Parliamentary Debates (Hansard). House of Lords. 1937-10-26. col. 1–4. Army, Indian (1877). Soldiers' games: 'Imperial Assemblage'. Delhi, 3rd January, 1877. s. n.
Codell, Julie, ed. (2011). Power and Resistance: Photography and the Delhi Coronation Durbars. Ahmedabad: Mapin. Codell, Julie (2009), "Indian Crafts and Imperial Policy: Hybridity, Purification and Imperial Subjectivities," Material Cultures, 1740–1920: The Meanings and Pleasures of Collecting. Eds. A. Myzelev & J. Potvin. Aldershot: Ashgate, 149–70. Codell, Julie (2004), "Gentlemen connoisseurs and capitalists: Modern British Imperial Identity in the 1903 Delhi Durbar Exhibition of Indian Art," Cultural Identities and the Aesthetics of Britishness. Ed. D. Arnold. Manchester U P, 134-63. Fraser, Lovat (1903). At Delhi (An account of the Delhi Durbar, 1903). Bombay : Times of India Press and Thacker. Hobbes, John Oliver (1903). Imperial India; letters from the East (Delhi Durbar). London : T.F. Unwin. Menpes, Mortimer (1903). 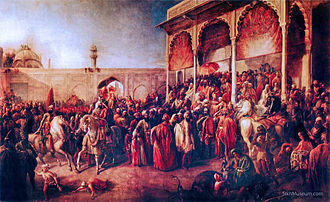 The Durbar (Illustrated). London: A & C Black. Coronation Durbar Delhi 1911: Official Directory with Maps. The Superintendent, Government Printing, Calcutta. 1911. Supplement to Who's Who in India – Containing lives and photographs of the recipients of honours on 12th December 1911. Newul Kishore Press, Lucknow. 1912. Raman and Agrawal, Sunil and Rohit (2012). Delhi Durbar 1911: The Complete Story. Delhi: Roli Books. Codell, Julie, ed. (2012). Power and Resistance: The Delhi Coronation Durbars. Ahmedabad: Mapin. 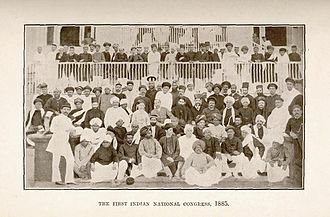 Wikimedia Commons has media related to Delhi Durbar. Nawab or nawaab is an honorific title ratified and bestowed by the reigning Mughal emperor to semi-autonomous Muslim rulers of princely states in South Asia. Nawab usually refers to males, the equivalent is begum or nawab begum. 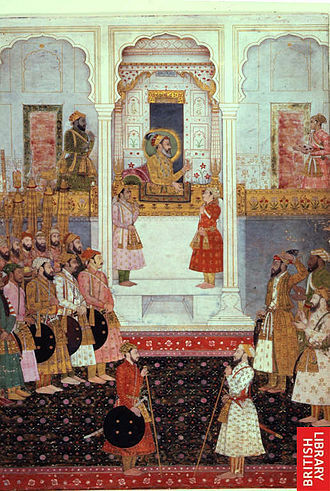 The primary duty of a nawab was to uphold the sovereignty of the Mughal emperor along with the administration of a certain province, in some cases, these titles were accompanied by jagir grants, either in cash revenues and allowances or land-holdings. During the British Raj, some of the chiefs or Sardars of large or important tribes were given the title. The term nawab was originally used for the subahdar or viceroy of a subah or region of the Mughal empire. It is a Hindustani term, used in Urdu, Hindi and many other North-Indian languages, borrowed via Persian from the Arabic, being the plural of naib. In some areas, especially Bengal, the term is pronounced nobab and this variation has entered English and other foreign languages. The term nawbab is often used to refer to any Muslim ruler in north or south India while the term nizam is preferred for a senior official—it literally means governor of region. Raja, is a title for a Monarch or princely ruler in South and Southeast Asia. The female form Rani applies equally to the wife of a Raja, usually as queen consort and occasionally as regent. The title has a history in the Indian subcontinent and South East Asia, being attested from the Rigveda, where a rājan- is a ruler, see for example the dāśarājñá. Sanskrit rājan- is cognate to Latin rēx King, Gaulish rīx, Gaelic rí, etc. originally denoting heads of petty kingdoms and it is believed to be ultimately derived from the Proto-Indo-European *h3rēǵs, a vrddhi formation to the root *h3reǵ- to straighten, to order, to rule. 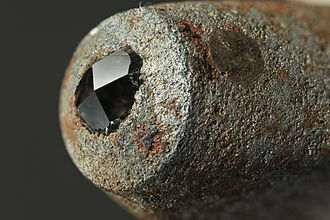 The Sanskrit n-stem is secondary in the title, apparently adapted from the female counterpart rājñī which has an -n- suffix in related languages. Cognates of the word Raja in other Indo-European languages include English reign, rather common, practically equivalent variants in Rajasthani and Hindi, used as equivalent royal style in parts of India include Rana, Raol and rawat and Yuvraj prince heir. Maharaja, or great king, is literally a title for more significant rulers in India, hence during the British raj, precedence was rather determined by the gun salute. Raja රජ means King in Sri Lanka, Rajamanthri is the Prince lineage of Kings generation in Sri Lanka. Rajamanthri title is aristocracy of the Kandiyan Kingdom මහනුවර in Sri Lanka, badan Singh was styled Raja Mahendra and founded the city and state Bharatpur, which his dynasty ruled as Maharajas. Raja Sahib was the style in Bansda until its upgrade from c.1829 to higher counterpart Maharaja Sahib. 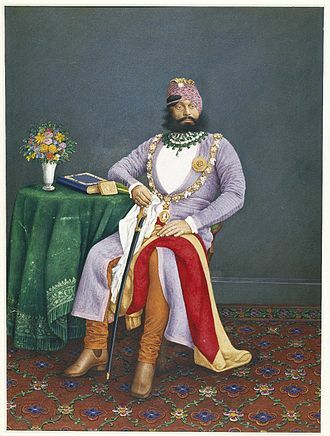 Raja-i Rajgan was notably the royal style of, the former Rajas of Jind from * until their 1911 upgrade to Maharaja, the former Rajas of Kapurthala from 1861 until their 1911 upgrade to Maharaja. Two consecutive rulers of Patiala, the first of which was originally styled Maharaja, Raja Bahadur, and remained the rulers of Raigarh. 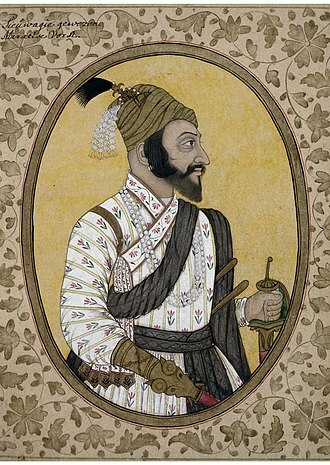 as 1763 upgrade from the family title Raja Sar Desai in Maratha state Savantvadi. e. Third prince in line for succession, there were many more Rajas among the feudatory states, such as jagirs. Durbar is a Hindi-Urdu word, equally common in all North Indian languages and many other South Asian languages. It was the used for the place where Indian Kings and other rulers had their formal and informal meetings, i. e. in European context. Durbar is a Persian-derived term meaning the kings or rulers noble court or a meeting where the king held all discussions regarding the state. 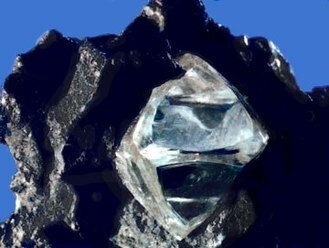 It was used in India and Nepal for a court or feudal levy as the latter came to be ruled. A durbar may be either a state council for administering the affairs of a princely state, or a purely ceremonial gathering. The most famous Durbars belonged to Great Emperors and Kings, in the North, cities like Udaipur, Jodhpur and Agra have palaces that adorn such magnificent halls. The Mughal Emperor Akbar had two halls, one for his ministers and the other for the general public, usually Durbar halls are lavishly decorated with the best possible materials available at the time. In the south of India, the Mysore Palace had a number of halls, especially the Peacock Hall, having colour tinted glasses imported from Belgium. The Durbar Hall in the Khilawat Mubarak, in the city of Hyderabad, beneath the main Dome of the Rastrapati Bhavan is present, the grand Durbar Hall, where many state functions presided by the President of India are held. A durbar could be the council of a native state. There was some overlap between the two groups and this was originally another word for audience room and council, but in India it applies to a privy council and chancery. The practice was started with Lord Lyttons Proclamation Durbar of 1877 celebrating the proclamation of Queen Victoria as the first Empress of India, Durbars continued to be held in years, with increased ceremony and grandeur than their predecessors. In 1903, for instance, the Coronation Durbar was held in Delhi to celebrate the accession of Edward VII to the British throne and this ceremony was presided over by the Viceroy of India, Lord Curzon. The King and Queen attended the Durbar in person and wore their Coronation robes and they were the only British monarchs to visit India during the period of British rule. The cinema of India consists of films produced across India. Cinema as a medium has gained popularity in the country. Indian films have come to be followed throughout South Asia. Dadasaheb Phalke is known as the father of Indian cinema, the Dadasaheb Phalke Award, for lifetime contribution to cinema, was instituted in his honour, by the Government of India in 1969, and is the most prestigious and coveted award in Indian cinema. In the 20th century, Indian cinema, along with the Hollywood and Chinese film industries, as of 2013, in terms of annual film output, India ranks first, followed by Nollywood and China. In 2012, India produced 1,602 feature films, the Indian film industry reached overall revenues of $1.86 billion in 2011. This is projected to rise to $3 billion in 2016, in 2015, India had a total box office of US$1.6 billion, the fourth largest in the world outside North America. Enhanced technology paved the way for upgrading from established norms of delivering product. Visual effects based, super hero science fiction, and epic films like Enthiran, Indian cinema found markets in over 90 countries where films from India are screened. The Indian government extended film delegations to countries such as the United States of America. The provision of 100% foreign direct investment has made the Indian film market attractive for foreign enterprises such as 20th Century Fox, Sony Pictures, Walt Disney Pictures, tax incentives to multiplexes have aided the multiplex boom in India. By 2003 as many as 30 film production companies had been listed in the National Stock Exchange of India, the South Indian film industry defines the four film cultures of South India as a single entity. They are the Tamil, the Telugu, the Malayalam and the Kannada industries, although developed independently over a long period, gross exchange of film performers and technicians as well as globalisation helped to shape this new identity. Music in Indian cinema is another substantial revenue generator with the music rights alone accounting for 4–5% of the net revenues generated by a film in India. Following the screening of the Lumière moving pictures in London, cinema became a sensation across Europe, in the next year a film presentation by one Professor Stevenson featured a stage show at Calcuttas Star Theatre. The Delhi Durbar of 1877. 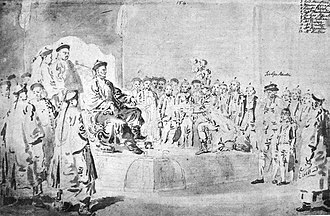 Lord Lytton, the Viceroy of India, is seated on the dais to the left. New Crowns for Old, the cartoon's caption references a scene in Aladdin where lamps are exchanged. 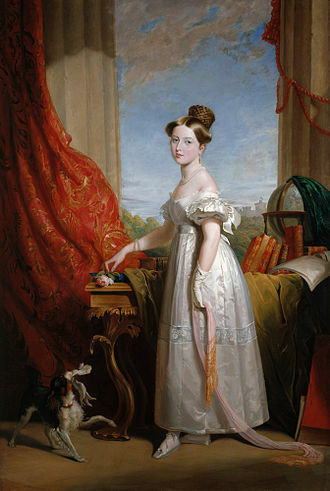 The Prime Minister, Benjamin Disraeli, is offering Queen Victoria an imperial crown in exchange for an earl's coronet. 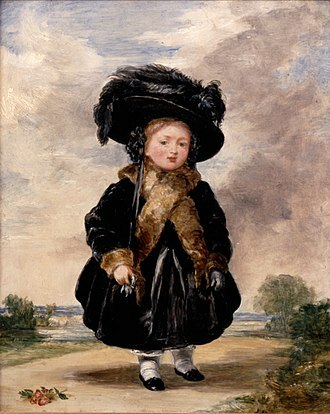 She made him the Earl of Beaconsfield at this time. 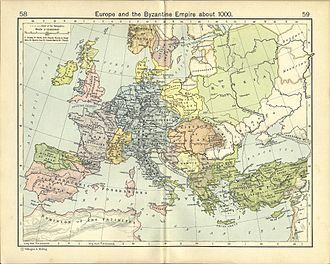 Coins of the British Empire and its dominions routinely included the title Ind. Imp., such as this Canadian five-cent piece. Engraving from The Graphic, October 1877, showing two forsaken children in the Bellary district of the Madras Presidency. Engraving from The Graphic, October 1877, showing the plight of animals as well as humans in Bellary district. People waiting for famine relief in Bangalore. 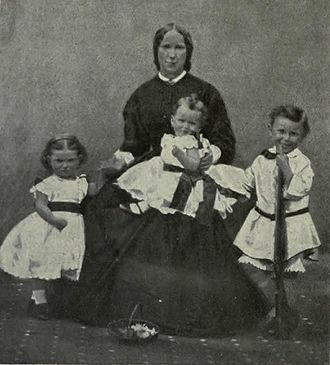 From the Illustrated London News (20 October 1877). 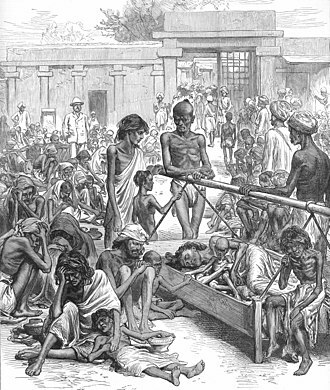 A contemporary print showing the distribution of relief in Bellary, Madras Presidency. From the Illustrated London News (1877).